Almost 5 years ago my life as I knew it fell apart. It turned out I wasn’t who I thought I was. My marriage was falling apart. I lost the confidence to accomplish daily tasks. It took about everything in me just to take care of my girls (we had two at that time). There were times I wanted to give up because I had no idea how to make things better. I felt lost… lonely… confused… devastated. My mind just spun constantly day and night. After a little while I knew that something needed to change. I had grown up in the church and was a Christian pretty much my whole life, but I realized that I had never really found God for myself; I just followed my mother’s footsteps. I learned at that time that God will meet you anywhere you are, even if you are at the lowest point of your life. I started to read and study both the Bible and Christian based teachings. And things began to change. Slowly at first and then faster and faster. Battlefield of the Mind – if you have never read this book, I recommend it for everyone. This book really helped me to realize how my thoughts were affecting my life and that I could control what I thought about at every moment. I realized that I didn’t have to live in worry and fear constantly. Power Thoughts – This book is like the follow-up to Battlefield of the Mind and I think equally as important. It works through different things that we should think on purpose and teaches the importance of replacing wrong thoughts with right thoughts. 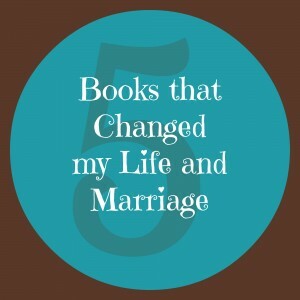 Becoming the Woman of His Dreams – The book changed the way I looked at my marriage. This was not an easy read the first time because the book makes you look at yourself and what you should be doing different to improve your marriage. It addresses the key things that men want/need in marriage: prayer, respect, adoration, intimate friendship, safeguarding, encouragement, and to be sexually fulfilled. It is a great book and was a good one to use for my women’s study group. Sheet Music – This is a great book, but one you don’t want your kids to find lying around and read. I would recommend this book to every couple getting married (or already married). There are a few things that I don’t agree with in this book, because of the nature of it I will not write about it here, but if you are interested in more information send me an email and I will give you my warning. 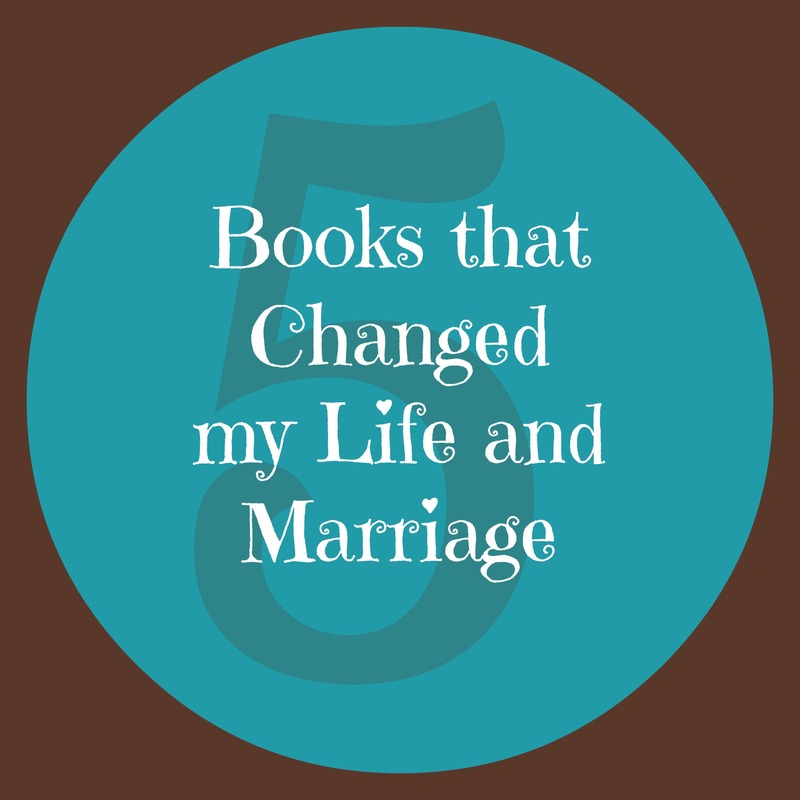 There have been tons of other books that I have read and learned from and would love to recommend later, but these 5 were the ones that I learned from first and made an immediate difference in my life and marriage. I do have to caution though, don’t expect to just read a book and have things change. You actually have to study the book and then act on what you read. I actually read Becoming the Woman of His Dreams a year or so before my marriage fell apart, but I didn’t continually act on what I had read. If you are not open to working hard to make personal changes in your life it doesn’t matter what you read, your life will not improve. And, if you wait for your husband to change and make your marriage better, it most likely will not happen. The only person who can really make your life change for the better is you! That was a tough lesson for me to learn, but I would have never changed if I didn’t learn it. I am always looking for the next marriage book to study. Do you have any good recommendations? Please post them in the comments or let me know what your thoughts are on these 5. *Disclosure: The book images are affiliate links with Amazon. Are You a Fun Wife? I think we all have times in our marriages like these, but your right there is a way to find hope somewhere. Thanks so much for sharing what books help you through you difficult time. I love the love language book, but need to check the others. Thanks Robin. The 5 Love Languages is such a great book. I heard about it for years before finally reading it. I wished I would have gotten to it earlier. I love Joyce Meyer’s books and I have read Battlefield of the Mind. What a POWERFUL book. I’ve been wanting to read the 5 Languages of Love – I have that one on my list of books to buy. Have you read Emotionally Healthy Spirituality by Peter Scazzero?! Amazing book and I highly recommend it for every Christian. His website is very informative too. Thanks Jennifer! I haven’t heard of that one before but I will have to check it out. Thanks for hosting the linkup! Becoming a new creation in Christ is a glorious moment. Thanks goodness God cares about every little thing in our lives. Thanks for sharing your story and the books which helped with the Thursday Blog Hop! Pam@over50feeling40 recently posted…A Transformed, I MATTER Woman….and the Thursday Blog Hop! You are completely right Pam! It always amazes me when I think about the fact that God cares about all the big things and the little things in my life. Thanks for reading Cindy! I’ll send you my warning so you can see what you think. The 5 Love Languages is a book that really changed my view on marriage. I certainly have to dive into reading more! Thanks for sharing with Turn it Up Tuesday! April G recently posted…Shed Light on the DARK Act! I read “Battlefield of the Mind” and “The 5 Love Languages.”They are both good. “The Five Love Languages” is one of the best and most informative books on love I have ever read. Even though, I have never read “Sheet Music,” I have read some Dr. Kevin Leman books and he is very good. Thanks for sharing your thoughts and experiences with these books. Blessings to you. Pingback: Turn It Up Tuesday - #75 - Baby Doodah!